FOR Swann Auction Galleries, the inspiration for its Nov. 5 sale, "The Armory Show at 100," wasn't far away. The auctioneer's premises sit right across the street from the 69th Regiment Armory in New York, where the famous "International Exhibition of Modern Art," whose displays of nontraditional paintings from Europe shocked the public and changed the course of American art, made its debut. 1550 Italian drawing in Sotheby's Courts of Europe sale. Why not commemorate its 100th anniversary with a sale featuring works by the European and American artists who took part in that groundbreaking display? "We like to keep things fresh and it seemed like a good theme around which to hang an auction," said Nicholas Lowry, the president of Swann. Over the last year, Swann has gathered 229 lots, mostly prints and drawings by the likes of Georges Braque, Stuart Davis and Alfred Maurer, for the sale. Take a look at recent auction calendars and you will find other titled auctions, too. 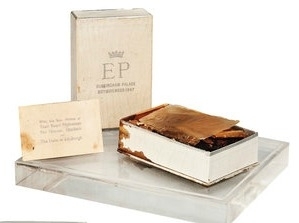 For example, "Arts of the Samurai" and "Dogs in Show and Field," both at Bonhams, New York; "The Opulent Eye: 500 Years of Decorative Arts" at Christie's New York; and "The London Sale," which Christie's South Kensington organized in 2012 to capitalize on the euphoria of the Summer Olympics there. Last month, Christie's South Kensington held "Out of the Ordinary," a sale of items deemed either "visually striking or with an intriguing story to tell." 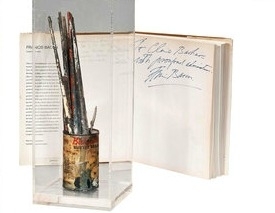 Among its 153 lots, curated from about 1,000 offered to Christie's, were a set of eight paintbrushes used by the British figurative painter Francis Bacon in 1969, a bronze death mask of Napoleon, and a slice of fruit cake preserved in cellophane, but inedible, from Queen Elizabeth II's 1947 wedding, in a presentation box. Coming soon are "The Architect," a sale of furniture and other objects created by architects, at Phillips in London on Nov. 21; "The Art of Food and Drink," which will include paintings, 15th- and 16th-century herbalist books, and "kitchenalia" used in centuries past (like a mechanical spit and a batterie de cuisine), at Christie's South Kensington on Jan. 16; and "The Courts of Europe: From the Renaissance to the Rococo," a sale of items from princely courts, at Sotheby's New York on Jan. 30. What happened to "Impressionist and Modern Art," "Postwar and Contemporary Art" and "Old Master Paintings"? These time-tested categories, used by auction houses to group the works they put on the block, still dominate the sales calendar. But themed auctions are popping up more and more. "They are growing in importance and relevance," said Marc Porter, chairman of Christie's Americas — for many reasons, starting with the fact that people like the idea of a focus. "Our clients have become used to highly curated experiences in every realm of their life," said Amy Todd Middleton, worldwide director of marketing at Sotheby's. All auctions are curated, in the sense that the objects in them must pass muster with an expert and that artworks sell better in the company of similar works. But themed auctions go a step further: objects chosen for them hew to the tighter narrative captured in their titles. "It's how you package them," Nic McElhatton, chairman of Christie's South Kensington, said. "People become more engaged if you give a sale a story. It sparks people's imaginations." Auctioneers say that themed sales have their roots in English country house sales and auctions of collections assembled by a single owner. With them, it was clear that many potential buyers were drawn by the story behind the sale, about the house or the collector. "New buyers," Mr. Porter said, "are especially eager to learn." As the interest in the art market has grown in recent years, providing context for the newcomers also grew more necessary, which themes accomplish. So the catalog for Swann's Nov. 5 sale, for example, contains essays on the Armory Show, the artistic movements that flowed from it, information about the artists' lives and expanded texts about the individual lots — significantly more than the typical auction catalog. Auction houses like themed auctions for another reason: many, but not all, include a mix of objects like paintings, prints and furnishings. "They are a great way to expose clients to multiple categories," Ms. Middleton said. That's a plus because someone who normally buys, say, silver, may well end up seeing a painting he or she has to have — and go on to collect other paintings, too. Themed sales often bring another kind of exposure, auction house executives have discovered: free publicity. "We were astounded by the press coverage for "Out of the Ordinary" and incredibly pleased," Mr. McElhatton said. "We figure it got, in column inches, £800,000 worth of free press coverage." That's nearly $1.3 million. Mr. Lowry said the Armory sale was also attracting free publicity. And that appeals to sellers. 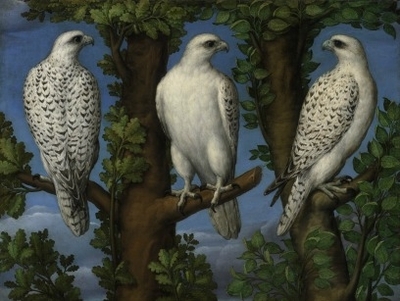 "Clients are substantially more interested in consigning to a themed auction," Mr. Lowry said. "They realize it will get a lot more attention and publicity and therefore do better. These curated auctions are like prime auction real estate — it's like putting something in the window of Tiffany's." Mr. Porter said the items on the block would otherwise be placed in what are known as "various owners' sales," not named sales. In a themed sale, he added, "their object has context, a name that focuses attention on the object." It is unclear, though, whether or not themed sales actually do fare better. Mr. Porter said that their lots had a "pretty equivalent" chance of selling versus a traditional, category-based sale. And Mr. McElhatton conceded that the "Out of the Ordinary" sale did not do that well. Only 70 percent of its lots sold. But it did make what Christie's had budgeted, fetching just over $2 million, and Christie's may well use the theme again. Whether an item would command a higher price in a themed sale or a traditional sale is impossible to discern. Either way, themed sales seem here to stay and may increase in number — partly because today's technology makes them simpler to do. For years, auction houses have collected data on people who register to bid at their sales and on consignors, which can be deployed to pull off a theme. "Say we decide to hold a sale of the 'Golden Age of Hollywood,' " Mr. Porter said. "We have a broad database of people who have bought in that category of sales for years. That means we can much more easily get material from them. It also makes it easier to market and to sell." Since targeting buyers and sellers is less expensive and less time-consuming than it was in the past, auctioneers expect to try timelier themes, developing sales that connect to contemporary events, like "The London Sale." Christie's provides another example: last month, during the semiannual New York Fashion Week, it held an online-only theme sale called "Andy [email protected]'s: Fashion." On offer were about 120 photographs, prints and drawings related to fashion, drawn from a large consignment from the Andy Warhol Foundation for the Visual Arts. And there are likely to be more themes within a category, with catalogs that require art historical research. For example, in 2011, Swann held a sale titled "Atelier 17, Abstract Expressionism and The New York School." Swann experts felt they could explore, with lots for sale, the link between the artists who worked in Atelier 17, an experimental Paris print shop founded in 1927 and then transplanted to New York during World War II, and American Ab-Ex artists in New York. In another example, this month Swann staged "Point of Departure: Postwar African-American Fine Art" as part of its contemporary art offerings. "We think of themed auctions as something that will improve our reach and our reputation," Mr. Lowry explained. They are making the sale rooms more interesting to the public, too.